Arutz Sheva and the Orthodox Jewish Chamber of Commerce host former White House Director of Communicatoins Anthony Scaramucci. Anthony Scaramucci, who has served as White House Communications Director for the Trump Administration, arrived in Israel on Sunday night, and is spending several days in Jerusalem. After landing, he toured the Western Wall and the Old City. This morning (Monday) he arrived at Yad Vashem museum in Jerusalem. 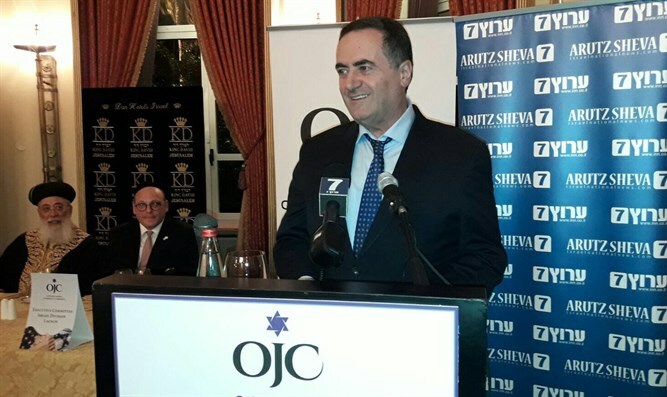 Tonight he is slated to speak at a conference held by Arutz Sheva and the Orthodox Jewish Chamber of Commerce at the King David Hotel in Jerusalem. Scaramucci is also a financier and entrepreneur. Between 1989-1996, he worked at the Goldman Sachs investment group, in the banking, equities, and private wealth management divisions. After leaving Goldman Sachs, he founded Oscar Capital Management, and in 2005, he founded the investment firm SkyBridge Capital.